Home » Blog » Our Atlantis Submarine Adventure! 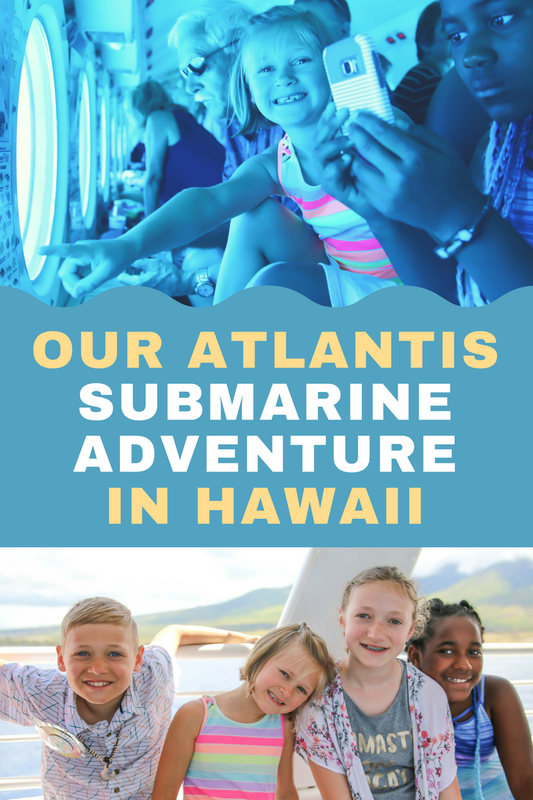 This post was sponsored by Atlantis Submarine Adventures. My family received tickets in exchange for an honest review. All opinions are my own. 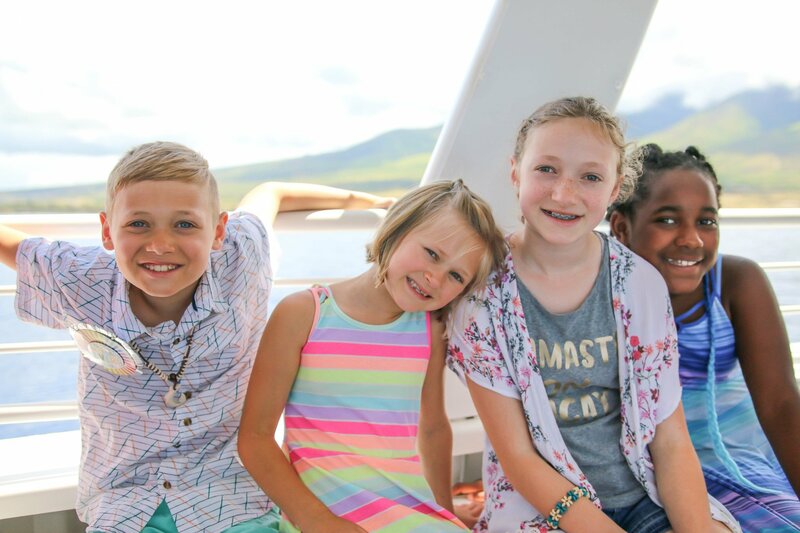 Our family has been enjoying time together on the beautiful island of Maui. We have loved exploring and trying out a new beach every day. We’ve swam in the ocean, visited local libraries and coffee shops, taken walks and eaten fresh, farm to table food. With 5 kids, planning out our schedule has been tricky. 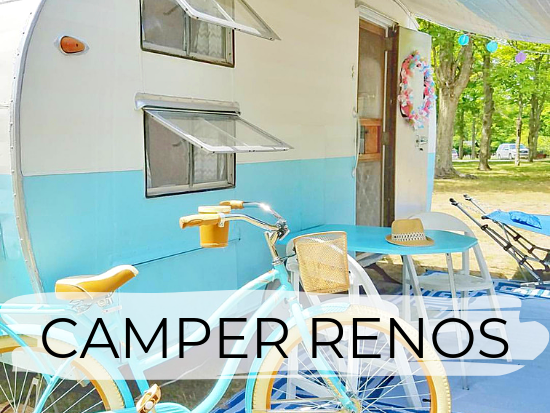 We want a little adventure, a lot of relaxing, structure with a dose of “hang loose” and a modest budget with a couple “once in a lifetime” splurges. 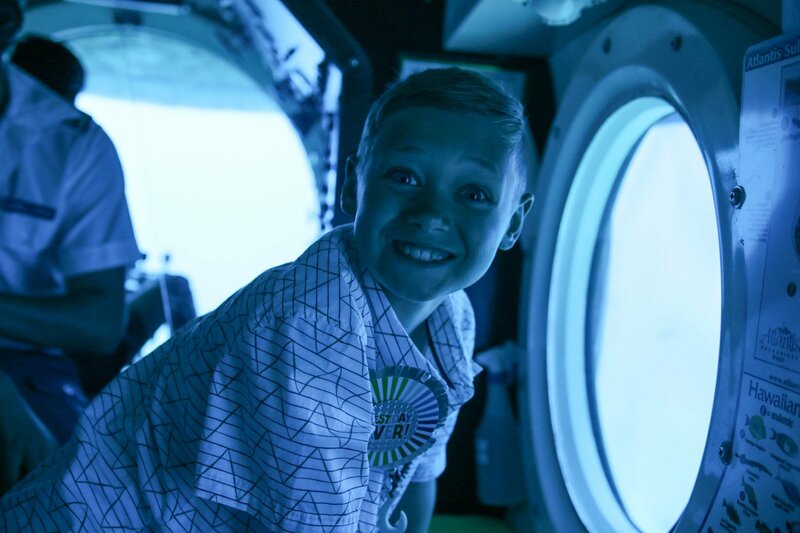 An Atlantis Submarine Adventure fulfills at least three of those must-do activities, and falls nicely into our plans to include a “little adventure” and a few “once in a lifetime” experiences! 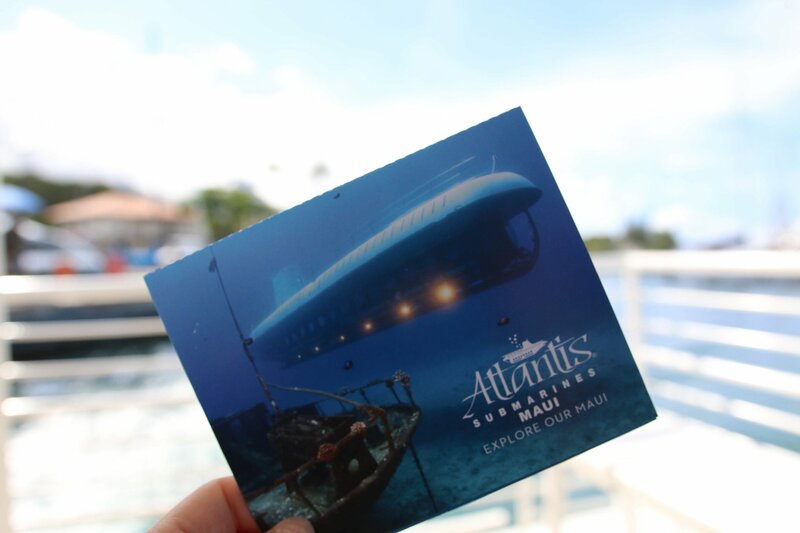 With locations on Oahu, Kona and Maui, an Atlantis submarine adventure will take you 100 feet below the surface where you’ll experience the mysteries of the sea! 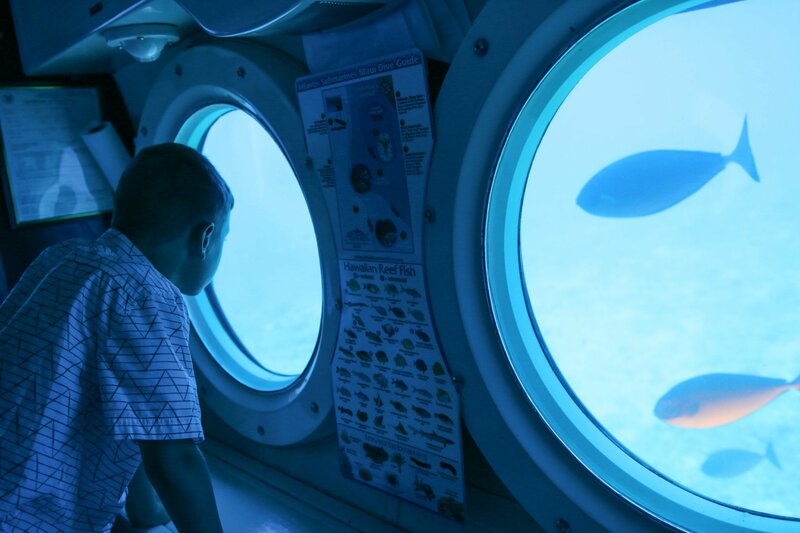 The submarine in Maui accommodates up to 48 passengers and is 65 feet long. The cabin is air-conditioned and spacious, we didn’t feel cramped at all! Tours are offered 365 days a year (weather permitting). They recommend booking your tour at least a few days in advance as some days will book up. 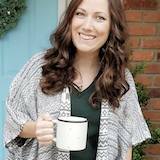 You can book online or by phone. Many local hotels can also make reservations for you and will also offer package deals with other local attractions. You must be 36″ to ride, per Coast Guard regulations. Insider Tip! We have a Costco membership and noticed that they offer a great discount on Atlantis gift cards there in the store! 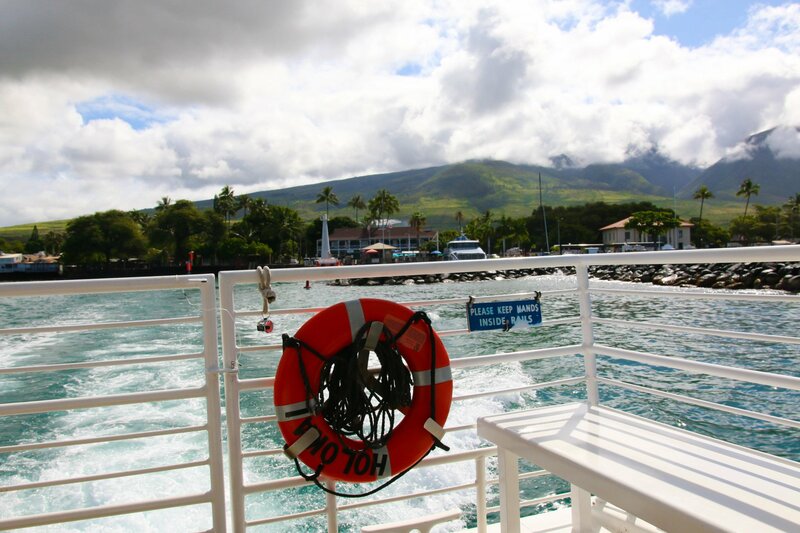 Our trip started at the docks on Front Street in Lahaina. 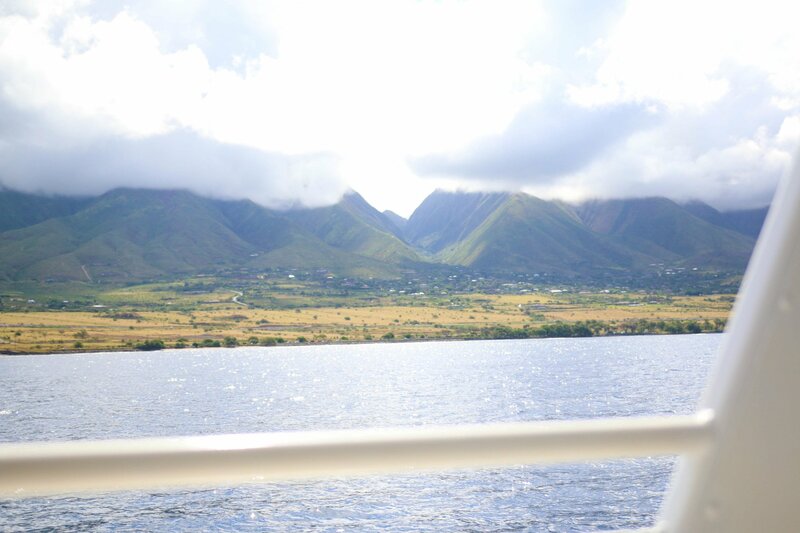 Lahaina is one of our favorite little towns to take in on Maui. There are lots of little surf shops, souvenirs, ocean front restaurants, banyan trees, museums and views of the sunset. 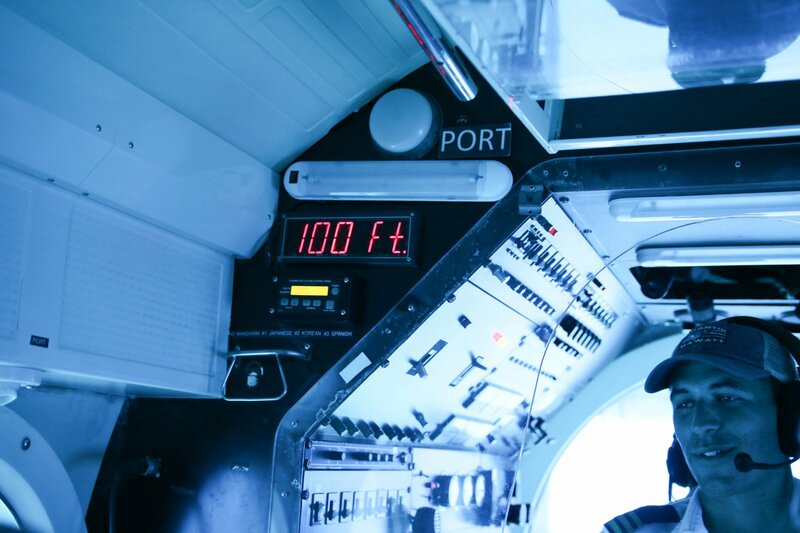 There are nice restrooms located right next to the dock, which is handy since the submarine does not have a bathroom! We boarded a small boat that took us out to the submarine. 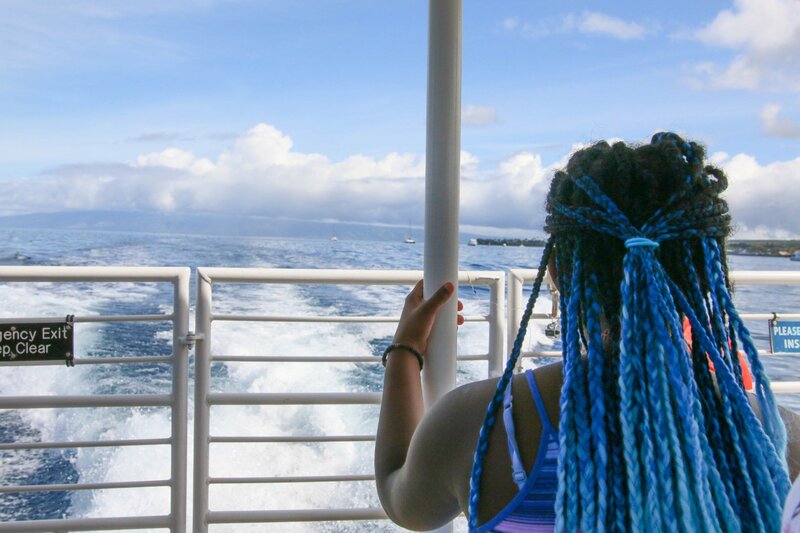 On board the first boat, we were given our instructions and safety information and saw breathtaking views of the island. I feel like the boat ride out to the sub was almost as much fun as the submarine itself! We began boarding at 9am and were back at the dock by 10:45. 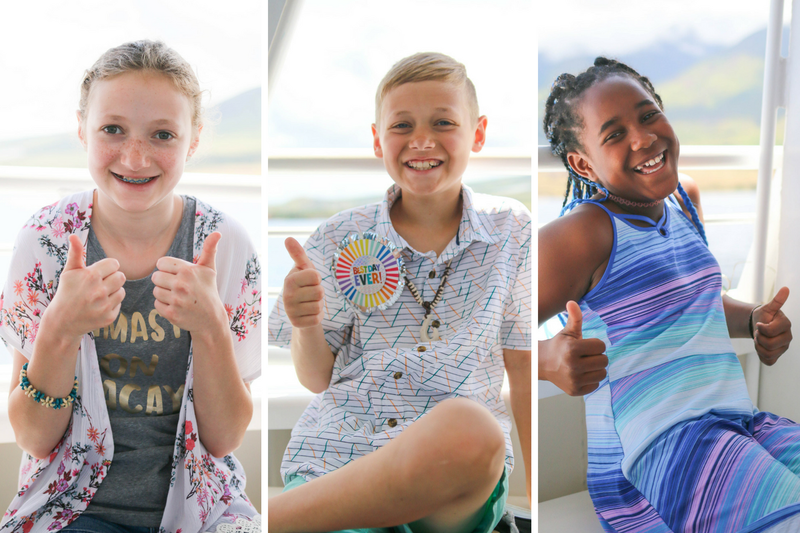 There were adults and kids of all ages on our boat, but due to Coast Guard regulations, infants and children under 36″ are not permitted. We did not have to wear life jackets, but they were available and demonstrated before we took off. 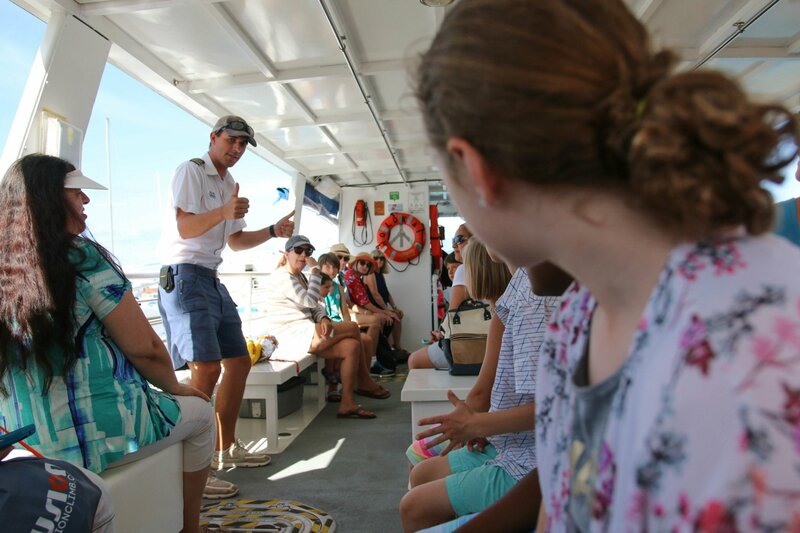 Our captain and guide were very knowledgeable and provided a steady supply of ocean facts throughout the tour. 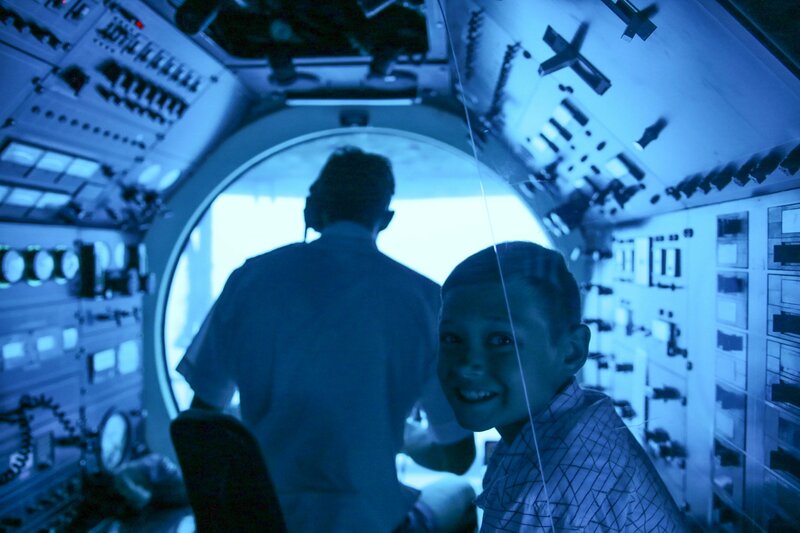 We chose to schedule our submarine adventure on my son, Taylor’s 10th birthday. 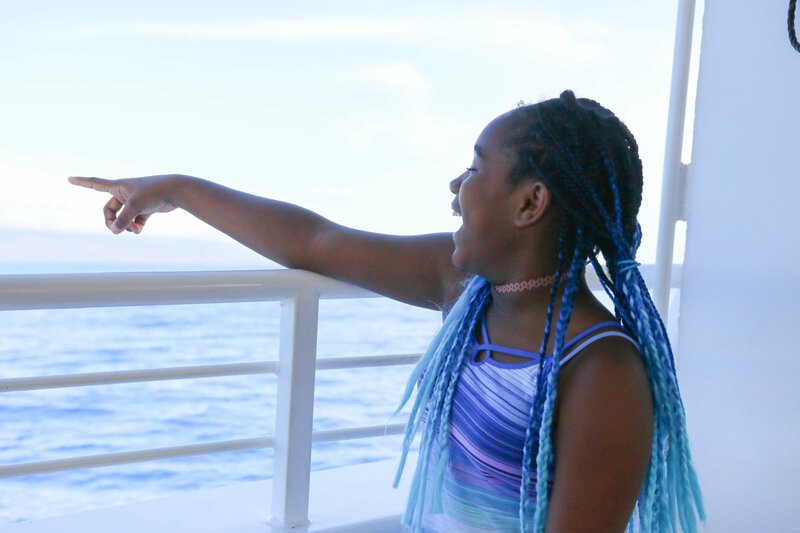 It’s safe to say, it was a pretty epic way to celebrate double digits! The crew was super nice and did everything they could to make Taylor’s day extra special. 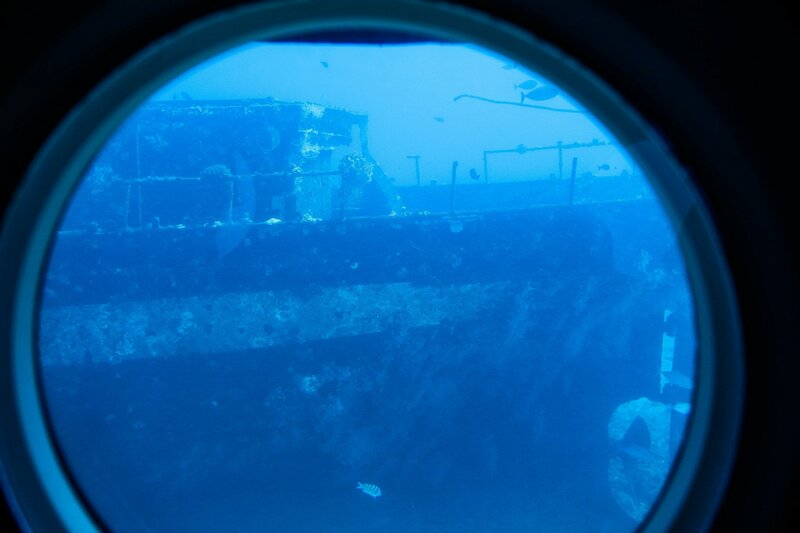 My kids loved seeing the actual real life shipwreck at the bottom of the ocean, as well as starfish, stingray and even a shark! 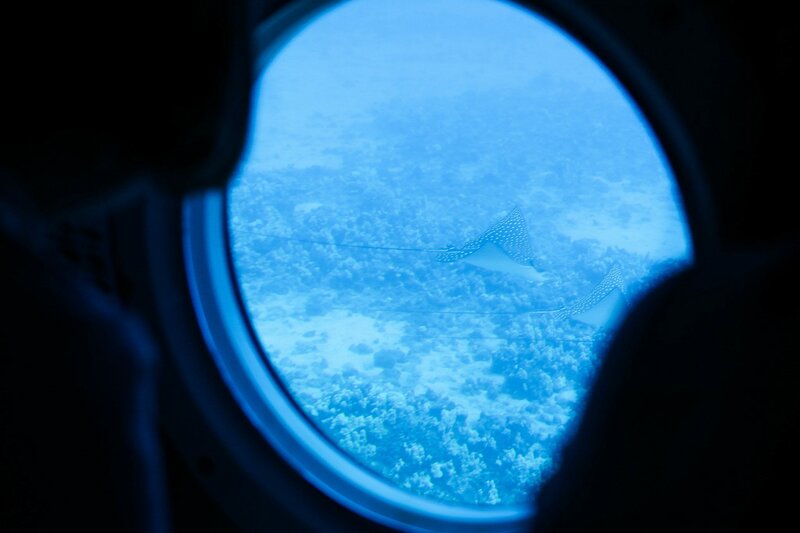 They had fun trying to spot all the unique, tropical fish on the chart in front of them. 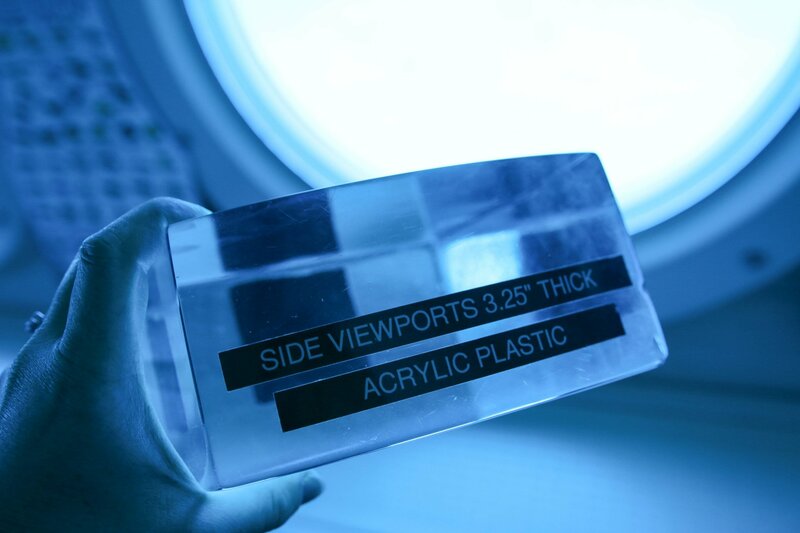 We made sure to get pictures of the display showing when we reached 100 feet below sea level, as well as the sample piece of glass that shows how thick the windows are. We also loved all the sound effects and Star Wars theme song that was played while surfacing! 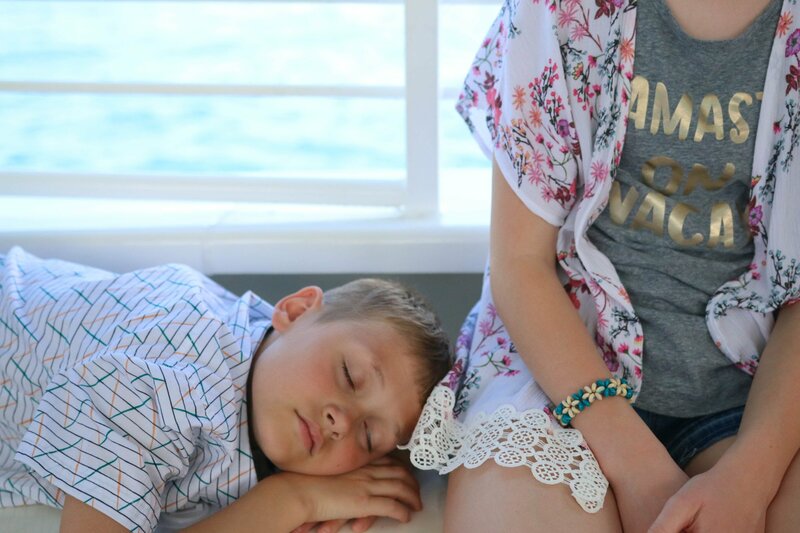 We ended our adventure with happy kids and one tired birthday boy! My husband had stayed on land with our 10 month old, because he has a tendency to get sea sick and was too scared to risk it. I felt a little queasy at the very end, but it was more from the heat of the sun and the boat ride back, not from the submarine. 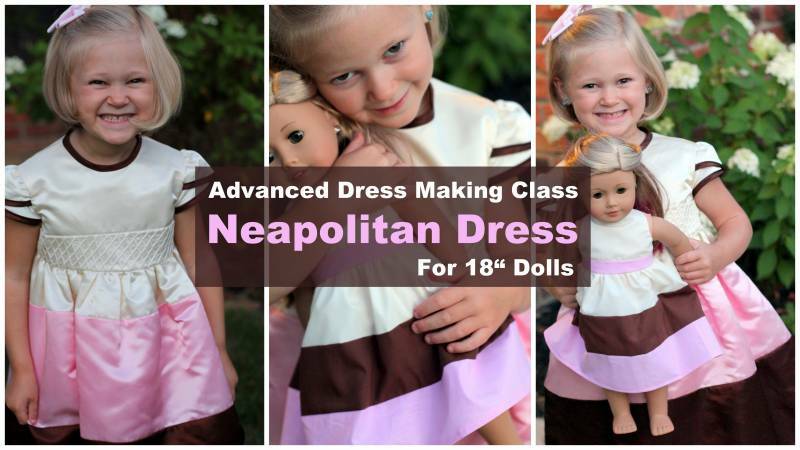 My daughter felt a little nervous at the beginning, but ended up loving the whole experience! 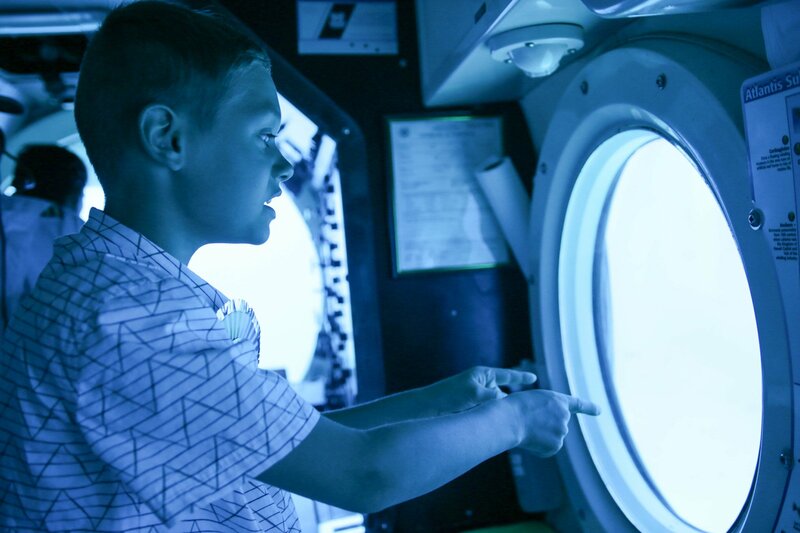 I enjoyed hearing all about the safety features of the sub and the crew’s perfect safety record! 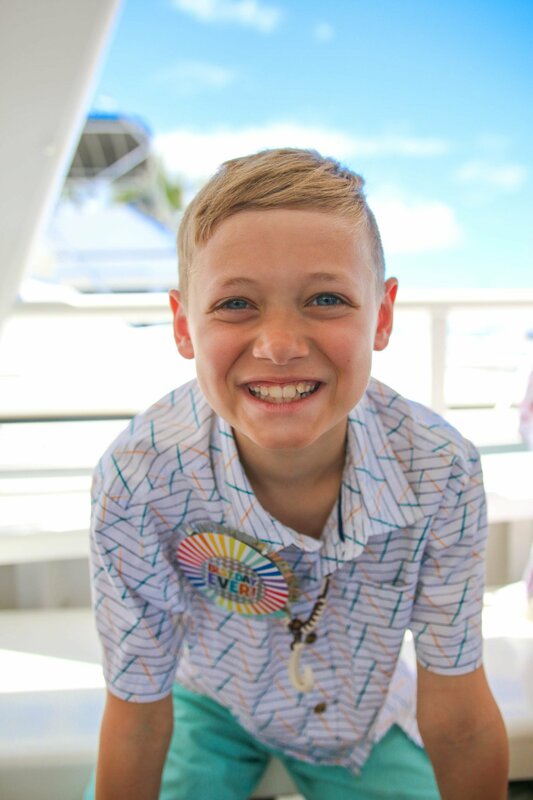 It was definitely a cool experience to include on our trip to Hawaii and a birthday my son will never forget! 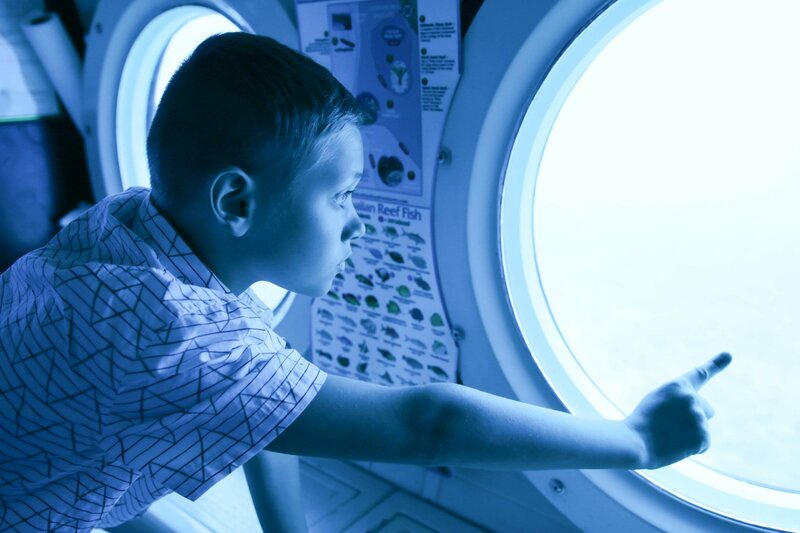 Book your undersea adventure today!